Chambara is an elegant reinvention of hide-and-seek in a world of two colors. 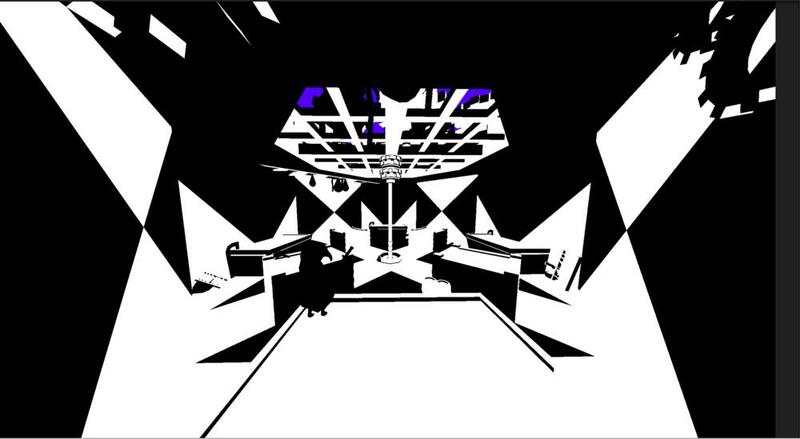 Players disappear against solid-colored backgrounds, and reveal each other by shifting their perspectives. They must sneak and seek across stylish, abstract landscapes to defeat the opposing side. The core mechanic of Chambara is disappearance - a unique marriage of visuals and design. Dual, flat colors allow players to hide in plain sight by camouflaging against like-colored areas. This makes hiding intuitive, but spatially challenging. Competitive combat elements make disappearance consequential, by rewarding sneaky attacks and spatial mastery with combat advantage.